Folded Star Patchwork is a bit like fabric origami. The pattern is created from folding and layering different fabrics. This technique was common in the 1980’s and is making a comeback. 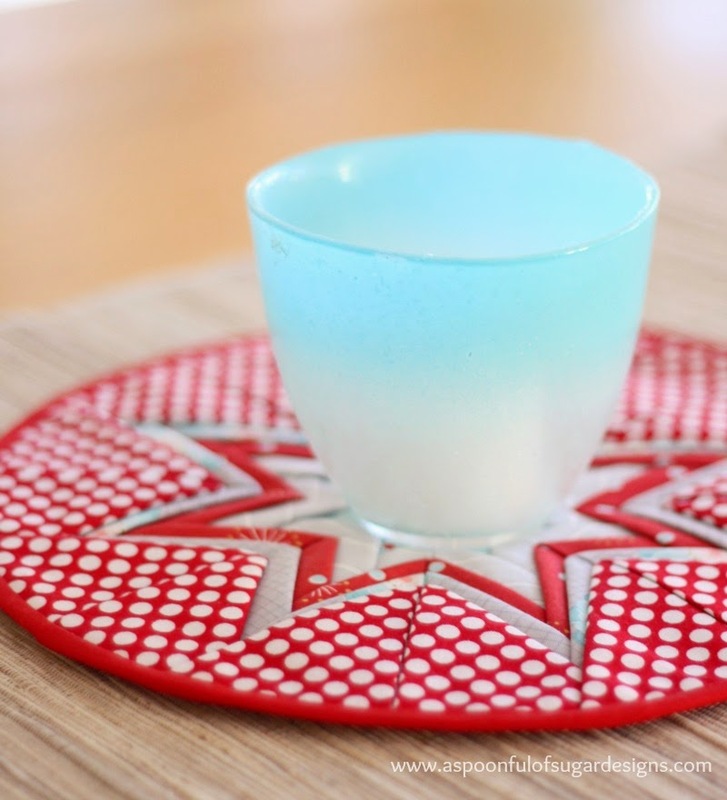 It is a very simple and effective technique and looks great using modern fabrics. It uses lots of fabric so it a great stash buster project! We think the star design looks very festive. 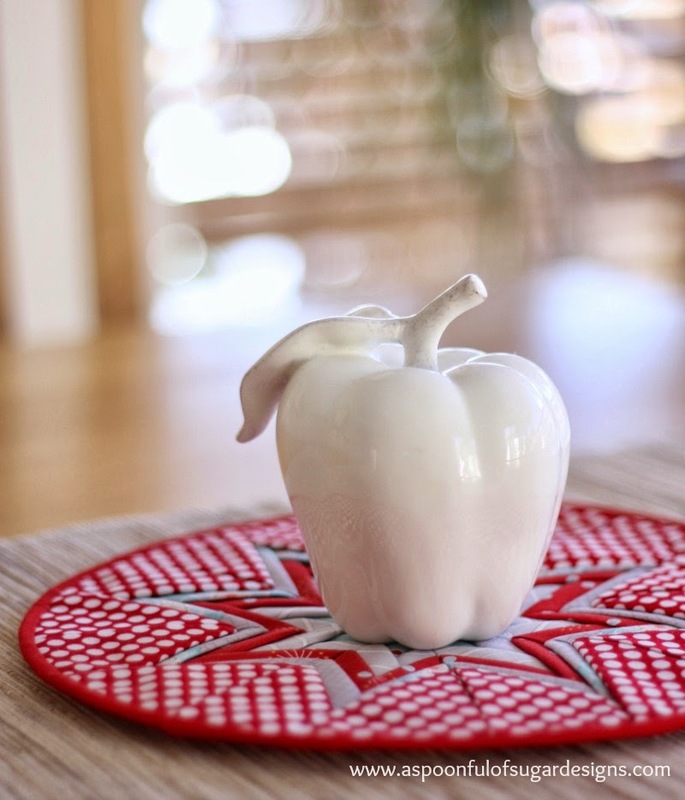 It would be perfect for little table mats or placemats for your Christmas decorating. If you would like to try this technique, we have written a few steps to guide you. 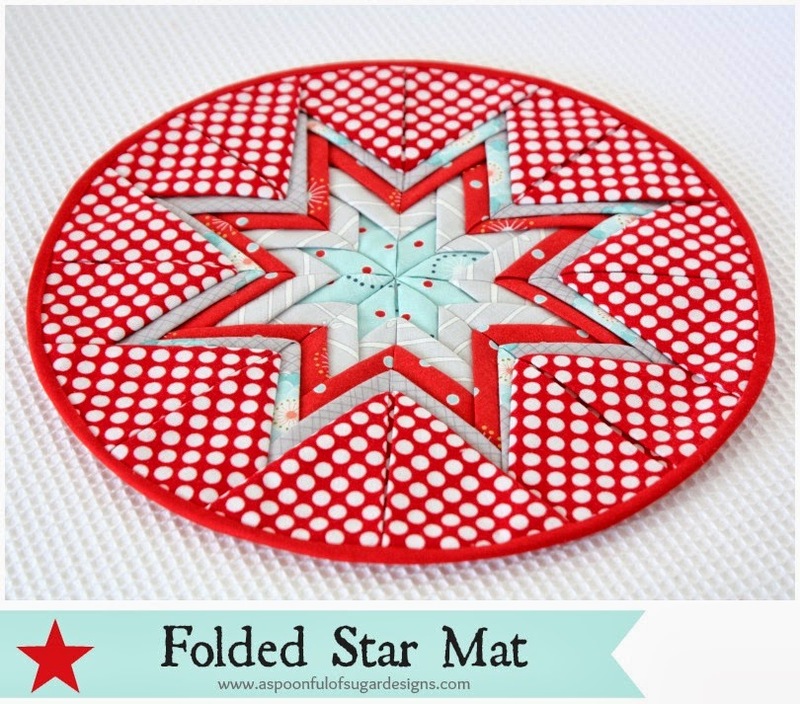 Our Folded Star Mat measures 10 inches in diameter. Fabric Credit: We used 5 Fat Quarters from the Wallflowers range from Windham Fabrics for this project. For the next three rows, cut eight 5 inch circles from each fabric. 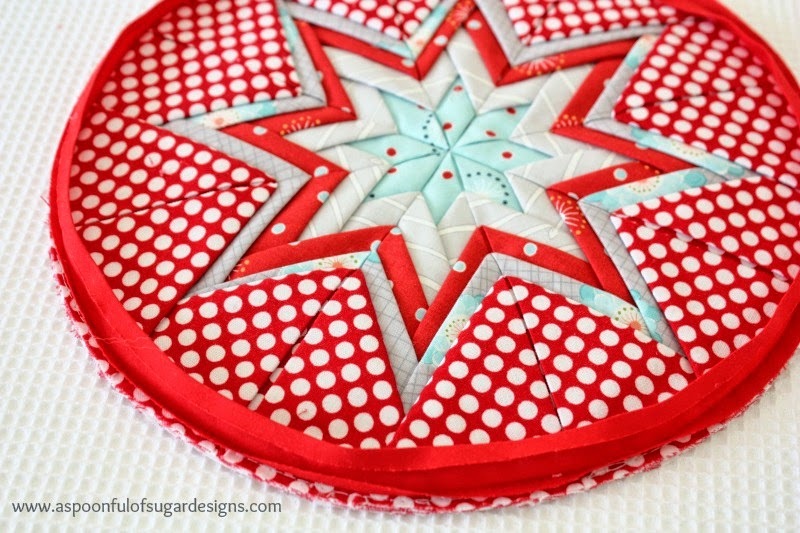 Tip: I cut the 5 inch circles using the circle die on our Go Baby Fabric Cutter. 1. 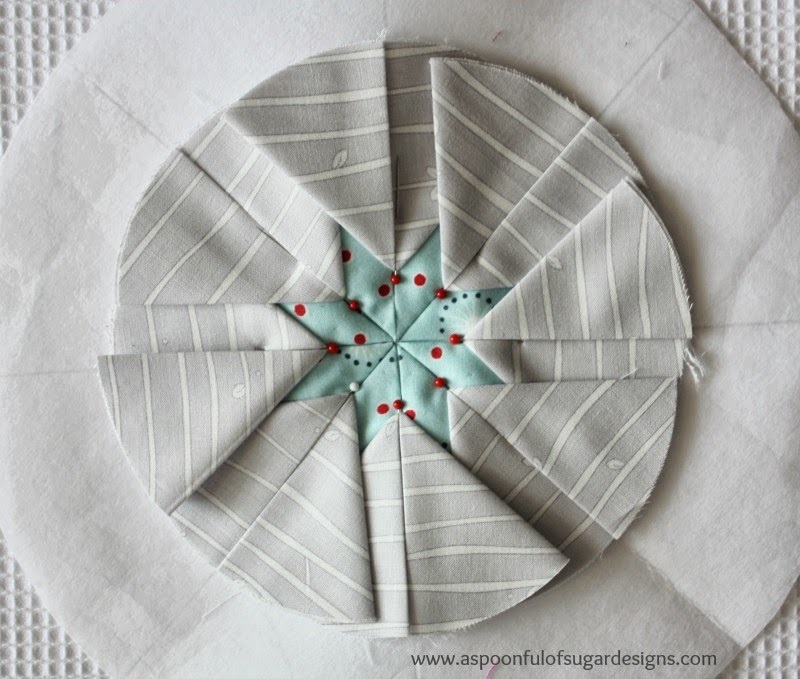 Fold the interfacing circle in half, then into quarters, and then into eighths. Use a marking pen to highlight the fold lines. 3. 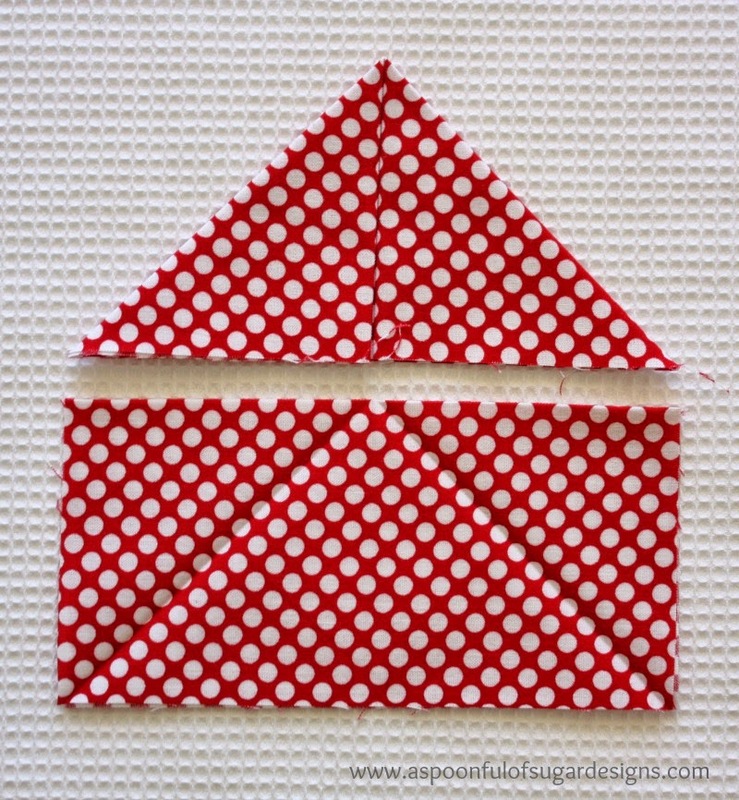 For the fabric squares, fold in half, and press. Bring the outside points down to the centre front and press to form triangles. (Refer to Photo of Polka Dot Triangles). 4. 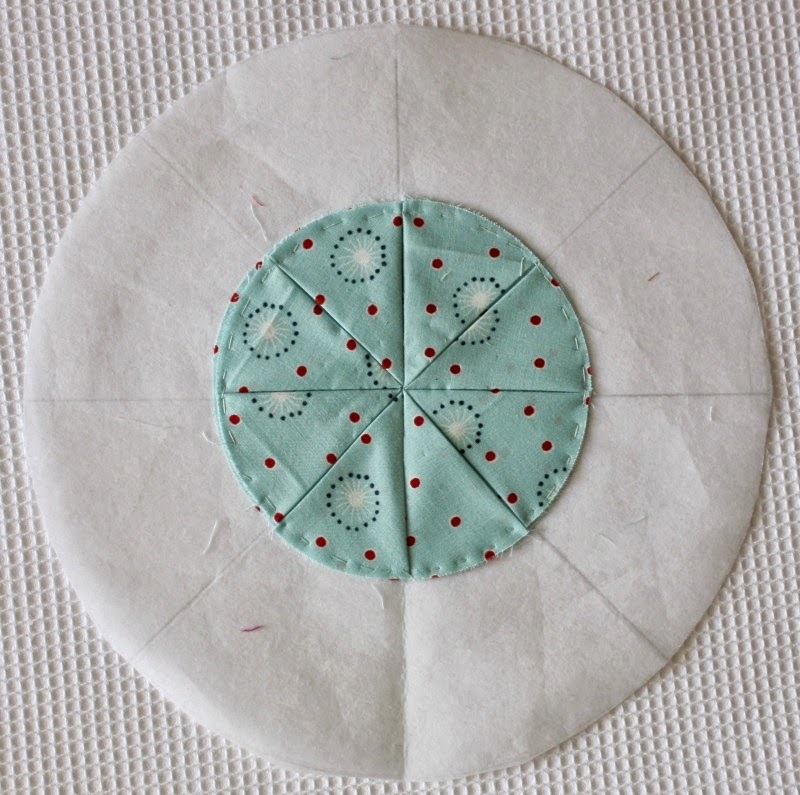 Centre Row: Open up one of the circles and place it in the centre of the interfacing, matching up the fold lines. Place the remaining 4 triangles with the points meeting in the centre, lining up the guide lines. Tack the points together. Tack the outer edge in place. 5. Second Row: place the 8 triangles 3/4 inch from the centre points, being careful to line up with the fold lines on the interfacing. Tack the points and outer edge in place. 6. Third and Fourth Row: Repeat step 5 for next two rows but placing the points 1/2 inch from the previous row. 7. 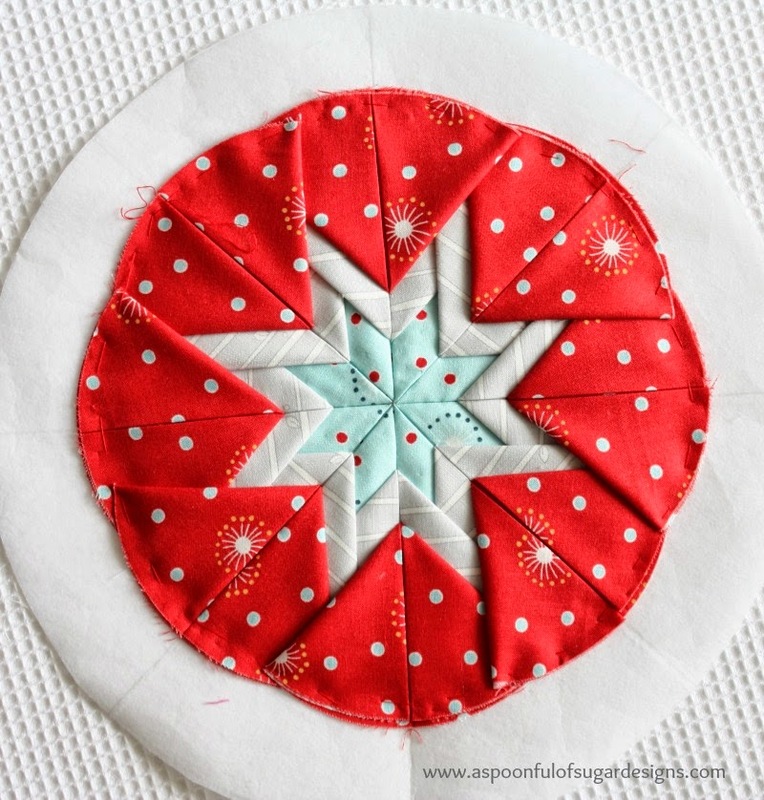 For the outside Row, repeat using the polka dot triangles. 8. Trim the outside of the mat so that it forms a circle that is 10 inches in diameter, using the interfacing as a guide. Turn the mat so that the interfacing is facing upwards. Layer a fat quarter over the interfacing with the right side facing upwards. Press in place so that it fuses to the interfacing. Trim the backing to the 10 inch circle. Stitch bias binding in place following manufacturer’s directions. 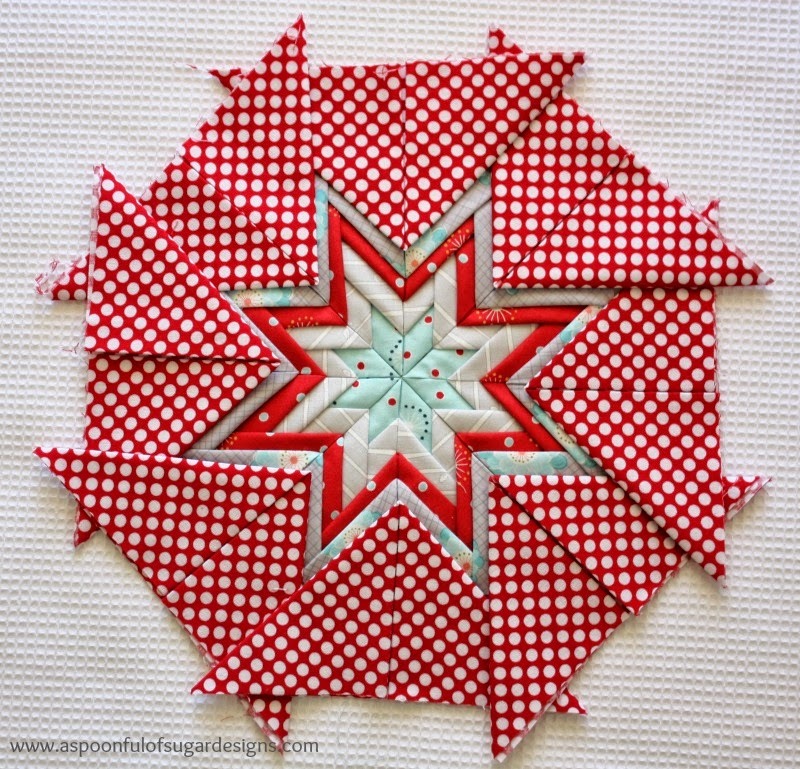 Folded Star Patchwork is a fun technique that can be adapted to different sizes. If you like this technique, check out our Folded Star Ornament. 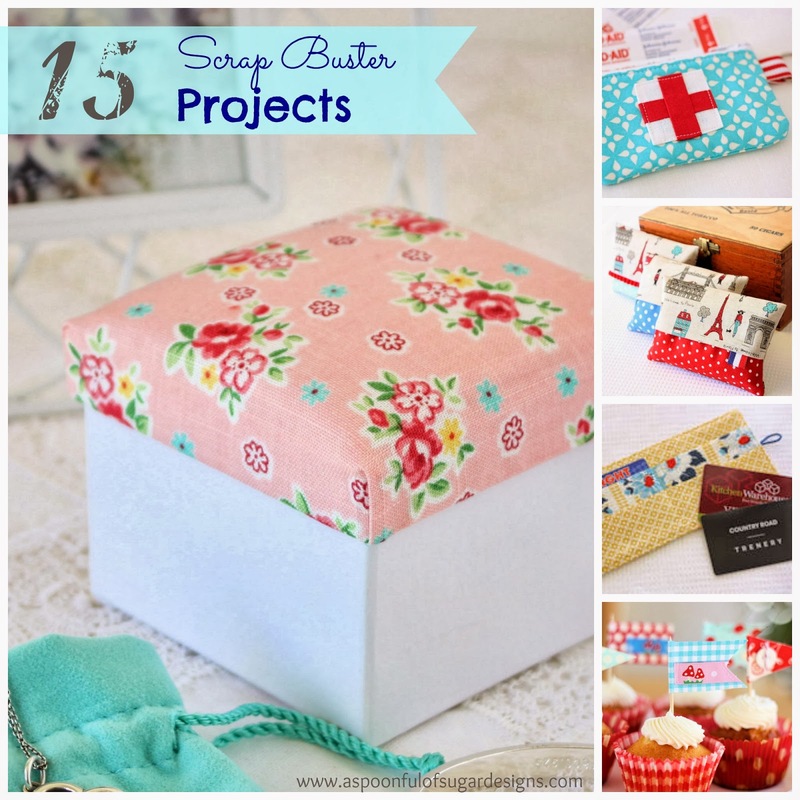 For other Stash Buster projects, check out our round-up of 15 Scrap Buster Tutorials. Oh my gosh, my mom made a lot of these probably in the 80’s!! I may have to give these a whirl. Thank you for providing the directions. Чудесный мат! Спасибо за подробный мастер-класс. Очень понятно. thanks so much for the tutorial, Lisa and Sarah; I haven’t made one of these since the ’80s and had forgotten how lovely this design is. Must get cracking on one to brighten up my house for Christmas. Hello! This is so beautiful! May I invite you to my “Christmas magic link party”? I would be happy if you are there! My local quilt guild did this last month. I was unable to attend so I greatly appreciate your sharing a tute. It is really beautiful, can’t imagine it is that mauch easy – first i saw I thought very complicated job. but after seeing the pattern I felt how easy and amazing to do it right during the coming week-end. Can we do similar with different colors and use it as a baby mat – I have a grand son 6 month old, don’t you thinkd this will be suitable for him?. You could make it as a baby mat – it would use up a lot of fabric though. You may need to stitch all the points down with a sewing machine to make it more robust for laundering. Wow, what a great idea. Thanks a lot for showing us this technique. I’m going to do one or two for Christmas. Looks so nice! Perfect gift for a special occasion. Thanks for the tutorial. Wow this is fabulous! Love, love, love all your tutorials – they are truly the shining stars! I´d like to invite you to my linkparty “Starlove” ! I’d be proud, if your star would be there! It really is gorgeous! It’s such a shame that it wastes so much fabric to get that effect though. Decent fabric is expensive, far too expensive to waste 2 or more yards of it! Would be better to use a cheaper fabric rather than quilting cotton, but then again poly cotton burns if you iron it! Very beautiful though. Thanks Heidee. How special that you are keeping the ring cushion for your daughter. You’re welcome Stephanie! Grey and Pink sounds like a pretty combination. Was wondering if you could be more specific how and where you “tack” the pieces down for those of us like me that need more specific instructions. 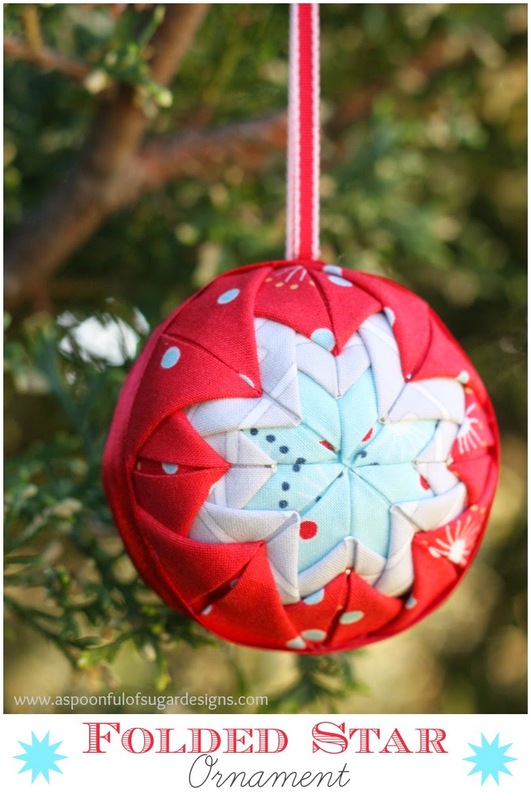 I’ve done some quilted ornaments, but I don’t understand how to do this. And what kind of fusible interfacing do you mean or recommend since there are so many. I’m more of a visual and do person then read and do person. Thank you. Tack is the same as baste. At the point do a couple of little stitches to hold the point in place. Baste along the outer raw edges so that it stays in place and lies flat. Any light to medium weight fusible interfacing is good for this project. I don’t have a preference for any brand and just use what I have on hand. I am new to sewing. Can you explain what you mean by “tack”? I understand how to place the fabric pieces but I don’t understand where to actually sew them. Thanks! 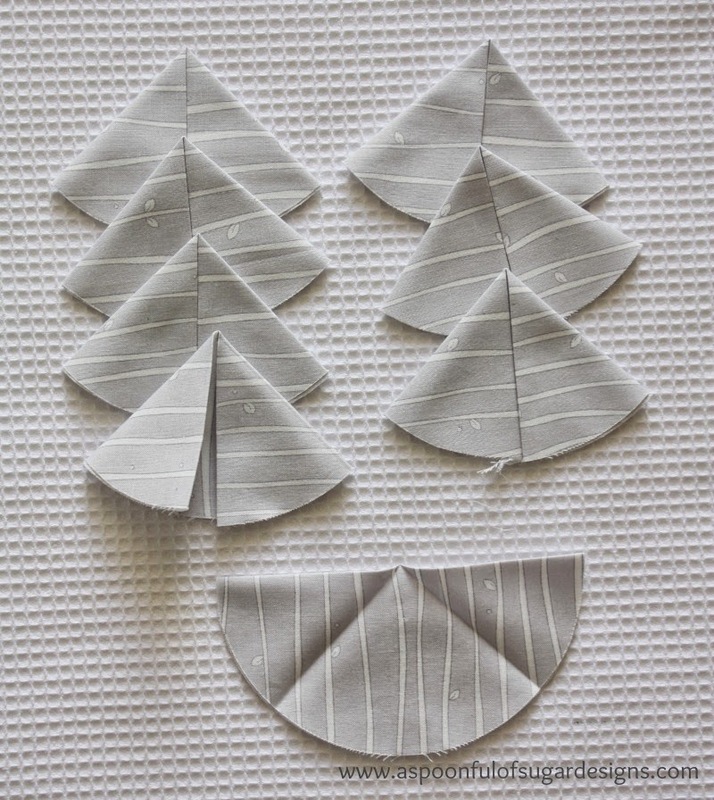 Hi Jenn – Tack is to sew a few stitches in one spot, by hand or by machine sewing, to secure one item to another. 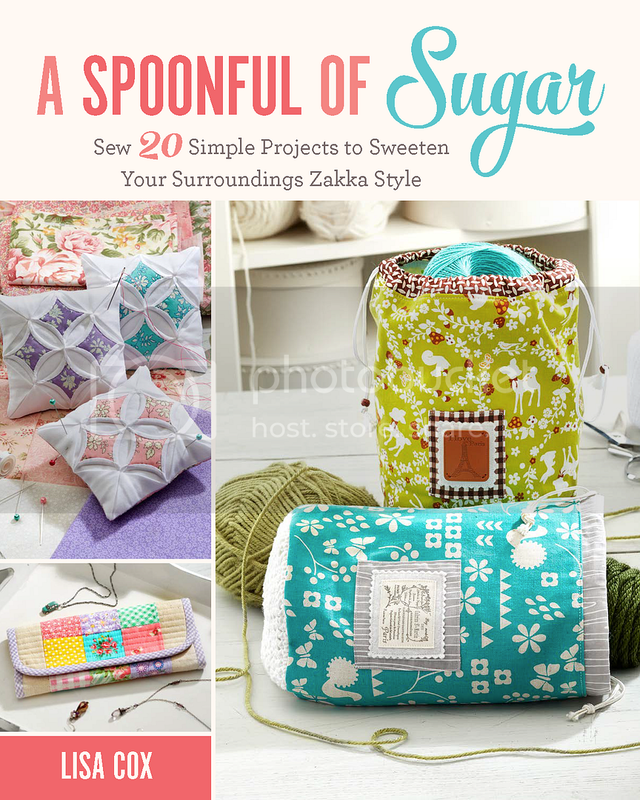 You stitch the pieces at the rounded edge. Tackibng at the tip of each piece is optional, depending on whether you want to tips to be sewn down or left free. Hope that helps! I am not sure what a size 15 is exactly. If you want to make it larger, you just ad more rows. You will have to cut the fold fabric pieces larger as the mat gets bigger. I personally haven’t made any bigger than this one. this is just adorable.to enlarge would you just add to each pattern as many inches as you want it to be enlarged to. Thanks Sheryl – how lovely that you have one your grandmother made. This is SO beautiful!! Thank you so much for posting this. My friend and I just saw one a couple of days ago and wondered how to make it. Then…I ran across your tut! Fortuitous! Thanks again!!! Thanks Amy – have making them – it is hard to stop at one! the design is absolutely fantastic, clearly written and with a little patience, nice in sewing. I just finished sewing the first mat. I made a mistake in choosing fabrics for sewing,but already planning the next mat. If you would like to see my project, it will be a pleasure for me.